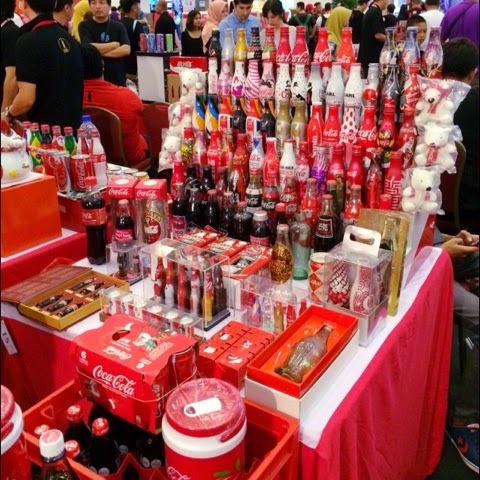 Can't believe I get to go to this collectors fair at Berjaya Times Square yesterday to get the unique "your-name-on-a-coca-cola-can" done! I almost thought I'll missed this event until my show come to a long break time till the next show. Thankiu universe!!! 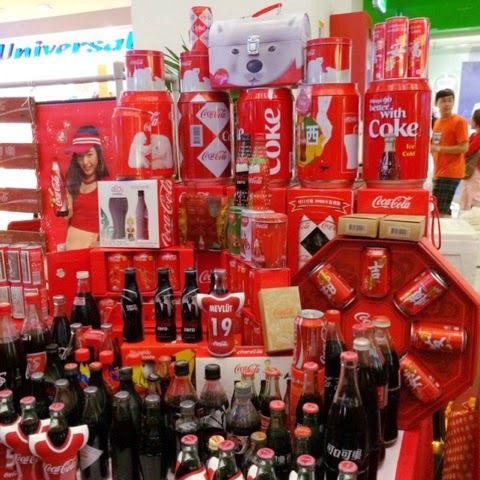 There's already a big heat for these name Coca-Cola before Chinese New Year. 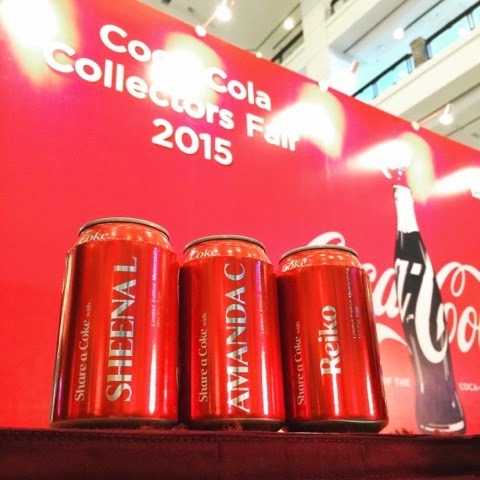 I still remember my friends told me that the people are literally crazy buying those Coca-Cola at shopping malls just to get their hands on these name cans. Luckily there's no queue or whatsoever when I got to Times Square, that makes me able to get my cans in lesser than 5 minutes! 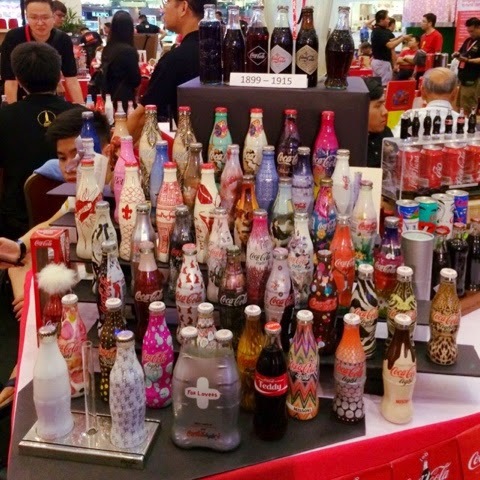 I did walk around and have a look at those booth where they sell their collections of Coca-Cola. I am so near at buying the Daft-Punk ones! And also the Karl Lagerfeld. But nah I guess I'll just wait for the next time then since I'm saving up for my next trip. All the limited edition bottles are so pretty!!! I wonder how long it took to have all these collect. It is such an eye-opening event because I get to see all types of collections from all around the world! 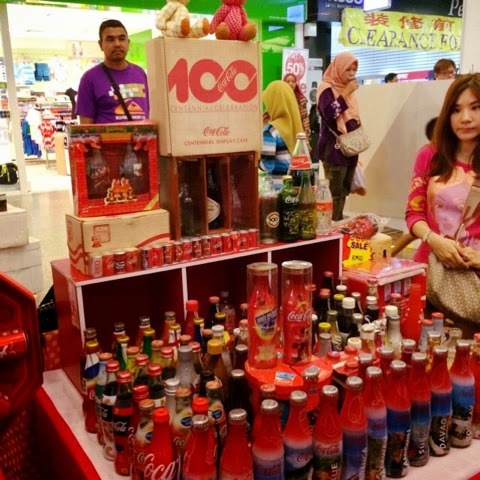 From cans to bottles to merchandises, these true Coca-Cola fans are everywhere!!! Decided to get these for my bb Sheena and Amanda! I hope they like it tho. And now my fridge look like this!!! 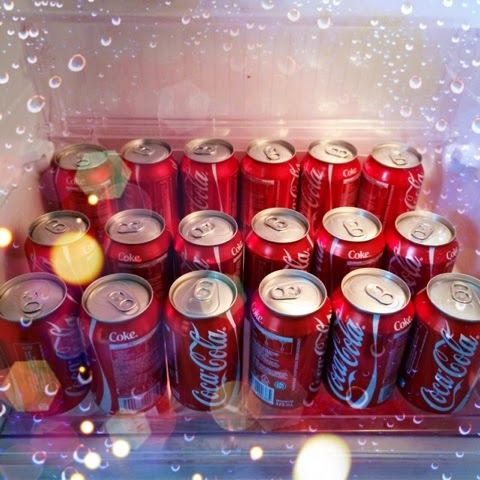 Hahahahahaha omg I wonder how long will it took me to finish all these Coca-Cola! Hopefully I won't be Coke-phobia after. 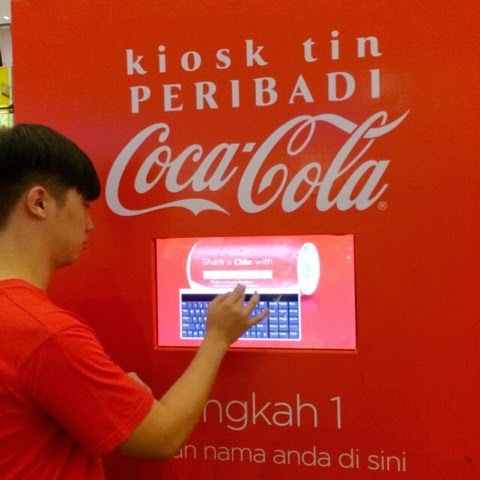 But I think Coca-Cola company will always held this name writing kiosk event from this year onwards.